There have been $15.5 million in civil rights settlements and judgments involving the sheriff's office over the last three years. The beating of Stanislav Petrov by Alameda County sheriff's deputies in 2015 led to a $5.5 million settlement. On Nov. 8, 2016, as the nation waited anxiously to find out who would be the next president of the United States, the Alameda County Board of Supervisors approved a $950,000 settlement for the family of JaCorey Calhoun, a 23-year-old man who was shot and killed by an Alameda County sheriff's deputy during a suspect search in 2014. The supervisors made a brief announcement about the settlement at the end of their meeting. A few hours later, Donald Trump was elected president, and Oakland erupted into protests and chaos. Calhoun was unarmed when he was shot early in the morning on Aug. 3, 2014, only six days before 18-year-old Michael Brown was killed in Ferguson, Mo. Calhoun was a suspect in a violent home invasion robbery and had led police on a pursuit that morning, but he wasn't armed. Deputy Derek Thoms, a dog handler, was assisting Oakland police with a backyard search when his dog, Zina, hopped over a fence and found Calhoun. Thoms hadn't told Zina to jump the fence and scrambled after her, landing on the hood of a car. Calhoun was running toward him with Zina still biting his leg. Thoms shot Calhoun seven times. Thoms was cleared of criminal charges by Alameda County District Attorney Nancy O'Malley on Oct. 20, 2015. But Calhoun's family, represented by civil rights attorney John Burris, sued and eventually reached the $950,000 settlement. The same deputy was the subject of two other civil rights lawsuits at the time, two of which also involved searches. On March 3, 2013, Zina had attacked a bystander during a search of the area around a business in Hayward. The county settled that case for $10,000 in May 2015. During a search in Castro Valley on Nov. 23, 2013, Thoms ordered his dog to attack a suspect after he refused deputies' commands to lie down. According to the suit, the suspect, Ronnie Alexander, couldn't lie down quickly because he had a surgically altered hip. That suit was settled in December 2015 for $7,000. Over the last three years, the Alameda County Sheriff's Office has racked up more than $15.5 million in settlements and judgments in civil rights cases — more than any other law enforcement agency in the region, according to records obtained by the Express. While the sheriff's office has paid some large settlements in high-profile cases — such as when deputies beat a suspect in San Francisco after a pursuit over the Bay Bridge in 2015 — the county has also quietly settled dozens of cases like those involving Thoms. The Express filed public records requests for all monetary settlements and judgments in civil rights cases with the largest agencies in the San Francisco Bay Area in the years 2015 through 2017. Only the San Jose Police Department's total over the same period came close to the Alameda County Sheriff's Office: The city paid over $14.1 million, including a $12.6 million settlement paid to Hung Lam, who was paralyzed after he was shot by Officer Dondi West in 2014. The Santa Clara County Sheriff's Office, which employs about 1,400 deputies — about 400 more than Alameda County — paid $8.5 million over the same period. That agency has been undergoing reforms since the 2015 beating death of an inmate, Michael Tyree. The three deputies who beat Tyree were found guilty of second-degree murder last year. Oakland paid nearly $3.3 million in civil rights settlements and judgments in that period, the Contra Costa County paid nearly $2.8 million, and San Francisco paid more than $1.3 million for cases involving its two law enforcement agencies: the San Francisco Police Department and the San Francisco Sheriff's Department, which together employ nearly 3,000 officers. Of the nine agencies polled by the Express, only Vallejo police, a department with roughly 100 officers, paid more per officer in civil rights cases than Alameda County. Not only did Alameda County pay more than other jurisdictions, it also had more cases against it than any other agency — 41 cases. Santa Clara County made payments in 27 civil rights cases over the same period, Contra Costa County in 25, and San Jose in 15. County officials did not respond to requests for comment. The settlements and judgments paid by Alameda County include 17 cases alleging assaults by officers or excessive force. Fourteen cases involved alleged civil rights violations in jails, including $4.6 million for five in-custody deaths. The county also paid more than $3 million in four cases involving shootings by deputies, three of which were fatal. The largest settlement Alameda County paid in the last three years was $5.5 million to Stanislav Petrov, a suspect who fled deputies in San Leandro on Nov. 12, 2015. Petrov rammed a sheriff's patrol car and injured a deputy before fleeing into San Francisco. His car ran out of gas in the Mission District and he ran until deputies Luis Santamaria and Paul Wieber caught up with him. They knocked Petrov to the ground and beat him with batons. 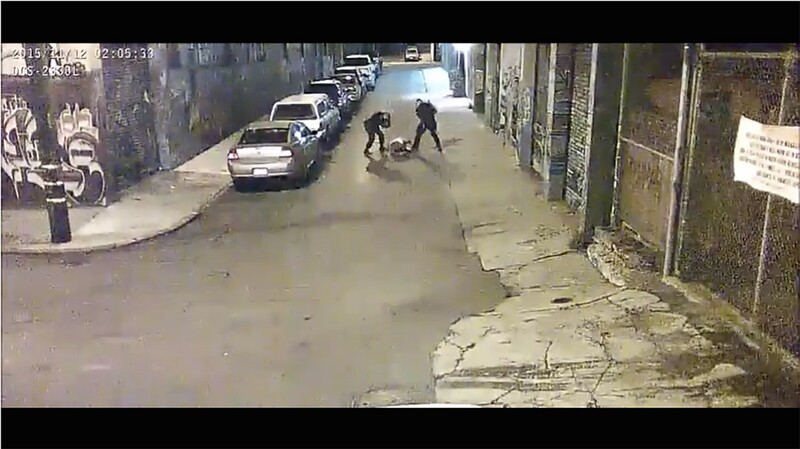 The beating was captured on surveillance video and released by the San Francisco Public Defender's Office. Santamaria and Wieber were fired and criminally charged. They were ordered to stand trial in May. The county paid over $4 million of an $8.3 million settlement reached with the family of Martin Harrison, who died in Santa Rita Jail in 2010 while suffering from alcohol withdrawal after he was arrested for jaywalking and an outstanding warrant for a previous DUI arrest. The rest was paid by Corizon Health Inc., the jail's medical provider. The family's attorneys said at the time that it was the largest wrongful death civil rights settlement in state history. The family of David Goins, who was shot and killed at his home in San Lorenzo on Feb. 17, 2014, received a $1.29 million settlement on Sept. 22, 2015. Goins was suffering from chest pains but refused to leave with paramedics and pushed one of them. The lawsuit alleged that the deputies, who were called by the paramedics, rammed the door open and shot Goins without warning. The sheriff's office said Goins attacked the deputies with a baseball bat. The sheriff's office's civil rights record has come under scrutiny recently, particularly through an effort by activists with the Ella Baker Center for Human Rights and other groups to pressure the Alameda County Board of Supervisors to conduct an extensive audit of the agency. The activists have questioned why the sheriff's budget has continued to grow while the population of its jails has declined from around 4,400 inmates to about 2,500 over the last decade. The supervisors passed a new budget on June 29 that includes $444 million for the sheriff's office — an increase in cost of $20 million — despite numerous speakers demanding the audit. Earlier this year, activists successfully pressured county supervisors to vote to end the annual Urban Shield event, a national event hosted by Alameda County that includes first responder training exercises and an equipment expo. Critics have said the event contributes to a more militarized law enforcement. Glenn Katon, a civil rights attorney who participated in a task force organized by the board of supervisors to respond to the Urban Shield opposition, said he was deeply troubled by the large amount paid by the county in civil rights settlements and judgments.